Get to know the different networks of social communication in the world. Range of social networks began to emerge in the late nineties , such as Classmates.com in 1995 to connect classmates and SixDegrees.com site in 1997 and focused on that site direct links between people. And it appeared in those locations profiles for users and service to send messages to a group of friends. In spite of these sites provide services similar to exist in current social networks , but these sites have not been able to generate a profit for their owners it has been closed. Then came a series of social networking , which has not been able to achieve great success between 1999 and 2001. With the beginning of 2005 appeared site with a number of hits its pages more than google , a famous American site MySpace is one of the first and largest social networks in the world and his famous rival Facebook , which also began in the parallel deployment with MySpace even Facebook has in 2007 allowing formation applications developers and this is what has led to increased numbers of Facebook users dramatically and now are believed to number more than 800 million users worldwide. And it is one of the most important types of social networks , which connects friends work in a professional, business owners, companies and include user profiles include their resumes and what they have done in their school years and their work , and they work with them. There are some social networking features such as the availability of other micro - blogging Micro Blogging like Twitter and Plurk and geographic networks such as Bright Kite site. 1. Social networking sites accepted. There are some Arab social networks that have emerged recently, but did not live up to compete with services offered by the major social networks Examples of such Arab social networking is written , one of the largest and most famous sites and developed in its social network brings users of the site and provide them with a variety of services, and other Arab networks Brothers Advanced network city and Faye and write and SerirZ mm and save your favorite links. 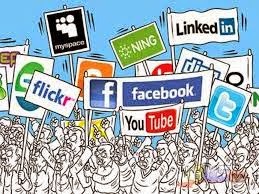 Only social networks do not stop at the link between the friends and the people there are even gathering makers and business owners of companies and their employees and example networks months on that site LinkedIn, which collected more than 20 million users and over 150 different craft.